Southwark Council appointed Morgan Sindall to deliver four affordable housing schemes in the South-East London borough. More than 90 of the new homes were built by their Sister Company Lovell. Kaybridge was awarded this groundworks and frame package to develop 19 affordable 1, 2 and 3 bedroom apartments and a small commercial unit on land formerly occupied by the housing office. 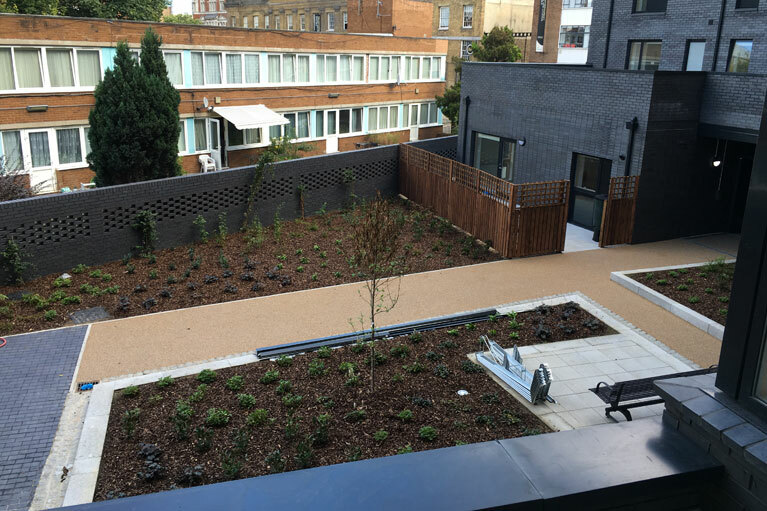 Our scope consisted of reduce levels, ground beams, foul and surface water drainage, existing sewer decommissioning, cellular attenuation tanks, footpaths, permeable resin bond gravel together with reinforced concrete frame up to 4 storeys and a roof slab. Due to being a very confined site, careful consideration was required for deliveries and safety of the public.